Amid far flung cries of privacy concerns against it, search engine Google has stepped up measures to make its service more secure and private. Just a week ago, Google rolled out the SSL encrypted version of its web search engine, thereby offering users a much more secure search experience. It is accessible by typing "https" instead of "http" in the URL address bar. In the wake of this new development I would like to share some thoughts and concerns how this is going to affect the search engine optimization landscape as well as web analytics results. Google has been using SSL encryption for its services like Gmail, Google Docs and other services in the past, but not in the actual Google search. While this is a major step from Google to offer users enhanced privacy, it does cause some serious concerns for internet marketers and web analytics professionals. As you may know, secured search stops traffic source info, which means if a user is using a secured search version then referrer data is not being sent. 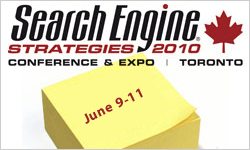 This can cause potential effects on SEM campaigns, especially in getting the ‘most searched terms’ in short keywords. Analyzing the most searched terms used in browsers, is a very important step used in SEO keyword research. Enabling of SSL encryption removes this ability, as there is no referrer data being sent. If that is the case then analytical tools will not be able to register search term details used by searchers for executing searches. By restricting the referrer information, I suppose web marketers and business owners are going to lose very valuable data used to measure the effectiveness of the search environment as well as PPC campaigns. All analytics tools are unable to track SSL referred traffic, and recent Google comments are "Not many people are using SSL so your data is not suffering significantly". This is a little too blase and simplistic for my liking. 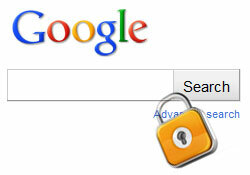 In the quest for online privacy, SSL search could become commonplace and there is potential for significant data loss. My thoughts are that currently Google Webmaster Tools captures all organic search impressions and clicks and its not too far of a reach to assume that Google might "auto tag" the GWT results in the same way Adwords currently does to be able to provide a solution. There would still be the option of "total privacy" by offering the Google Analytics opt out browser plugins. 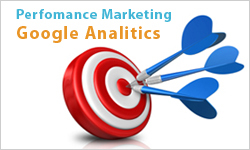 If things went this direction then this would make Google Analytics a very powerful solution in the marketplace!